One of the best destinations for fishing, Malaysia offers spectacular fishing opportunities off the coast and inland. Fishing tour in Malaysia is known internationally and the fishing industry itself is strongly built up. 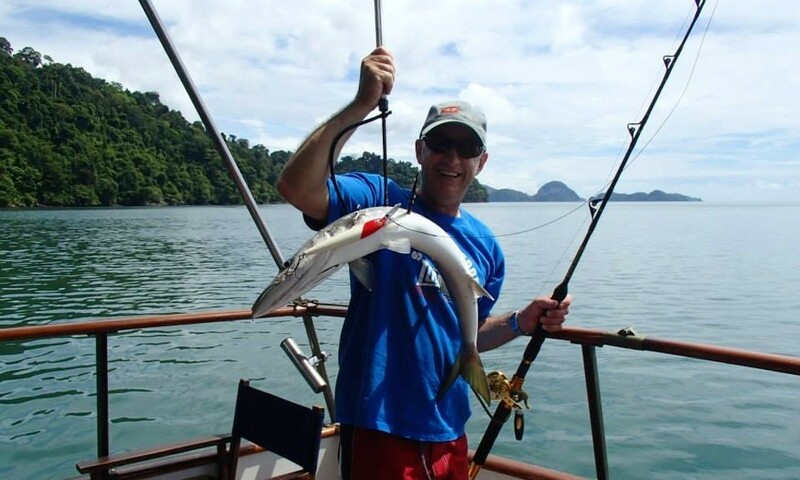 Since most of the Malaysia fishing tour companies and tour providers follow strictly on the ‘catch and release’ rule, the diversity of fish species inland and off the coast is truly marvelous. This is done because Malaysians are well conscious of the importance of eco tourism and the appropriate protection of the main fish species. Home to plenty of fantastic inland rivers and lakes, Malaysia is no doubt one of the best fishing destinations in Asia. A well preferred fishing destination by anglers, Malaysia has some of the best and most assorted fishing on earth. And since Malaysia is not a big country, most of the fishing spots can be easily accessible from the major cities, some of the spectacular inland fishing destinations can be reached with a 3-4 hours driving journey from Kuala Lumpur. With most fishing destinations easily accessible, there are many travel and tour companies in Malaysia that offer fishing tour package. There are also plenty of boat charter services who are ready to serve the anglers who make last minute plans. Though, before any fishing trip is planned, it is essential not only to consider the season, but the wind speeds, prevailing weather conditions, currents and other natural phenomena should be taken into account. Hence, it is always advisable to do some research on the fishing spots that you are going. Most of the fishing tour companies will also advise you the best time to join the tour. The National Park in Pahang is one of the most popular fishing destinations for anglers with great diversity of fish species. Fishing tour in numerous islands such as Langkawi Island, Tioman Island and Pemanggil Island can also be obtained from most of the fishing tour companies in the country. If you are looking for sailfish, Kuala Rompin is your best bet. Calm waters and diversified of fish, fishing in Kuala Rompin is suitable for anglers from all expertise levels. Do take note that you will need a fishing license for fishing in certain areas. As part of the tour package, most of the tour companies will normally arrange for these licenses, but if you are traveling on your own without joining a tour, you will have to check with the Malaysia Fishery Department and get one yourself.